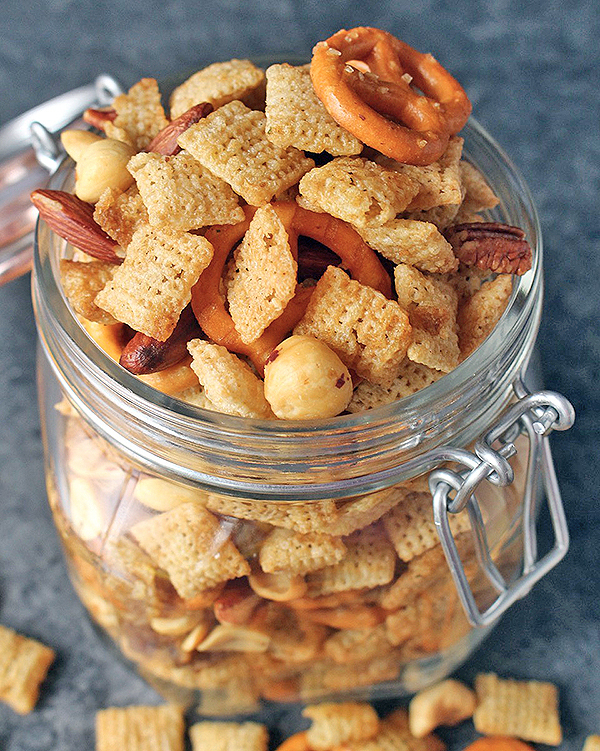 This Coconut Oil Chex Mix is easy and packed with flavor. 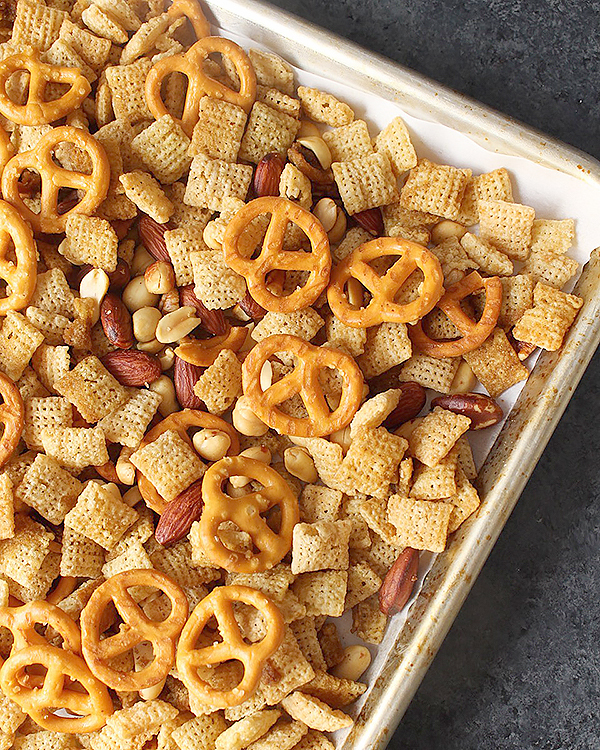 A couple changes takes this classic snack mix and turns it gluten free, dairy free, and vegan. You will love it! 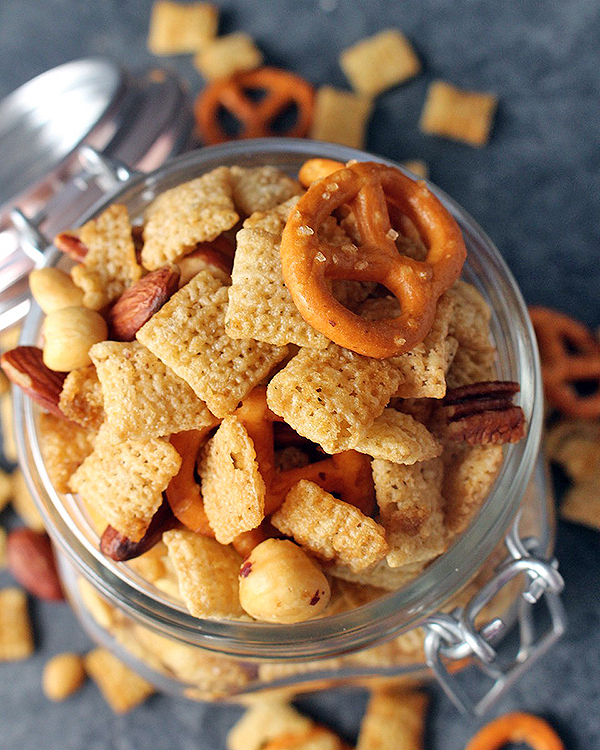 Chex Mix is such a popular snack food! Whether you make it yourself or buy it from the store- chances are you’ve had it at some point in your life. Homemade if definitely my favorite though and this coconut oil one is the best! 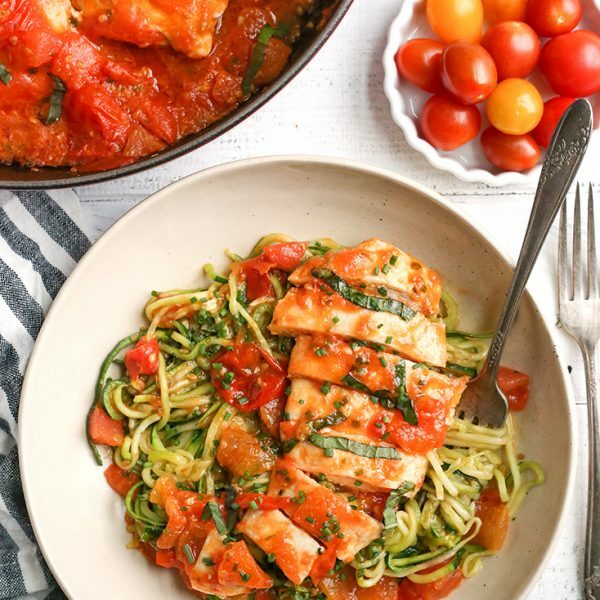 I love taking popular recipes and swapping out ingredients to make it healthier. In our house we follow a paleo lifestyle, but since this is gluten free and dairy free, we do okay with it. It’s not an everyday thing, but it works for us! The original calls for Worcestershire sauce, but I decided I wanted to use Coconut Aminos. I always have a bottle on hand and love the flavor it adds to everything. If you’re not familiar with coconut aminos, it is a savory sauce that is slightly sweeter and less salty than soy sauce. You can find it at any health food store by the soy sauce or on Thrive Market (<–the best price). 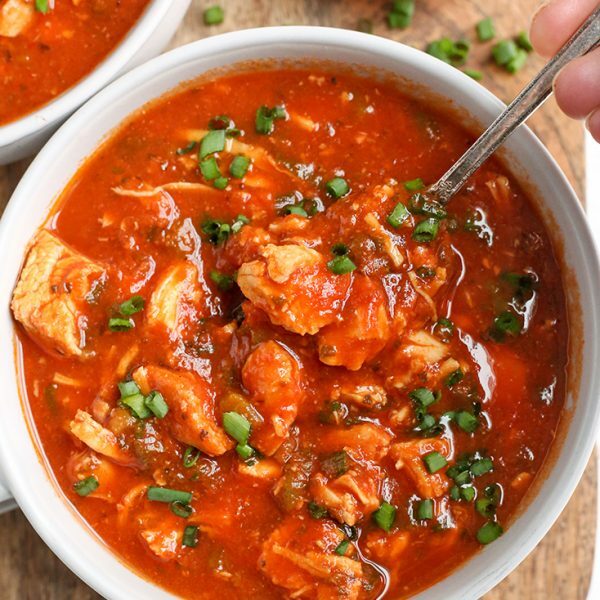 It works so great in this recipe- it balances perfect with the season salt and garlic and onion. It is so delicious! Also, using coconut oil and coconut aminos is what keeps it vegan. 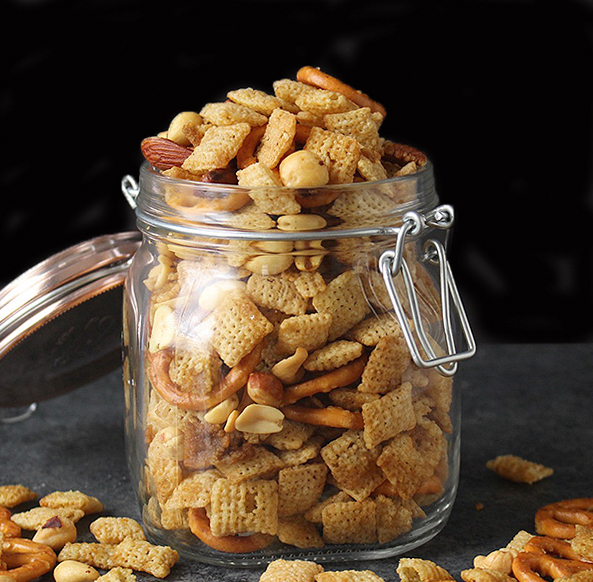 If you like the original chex mix, then you will love this version! 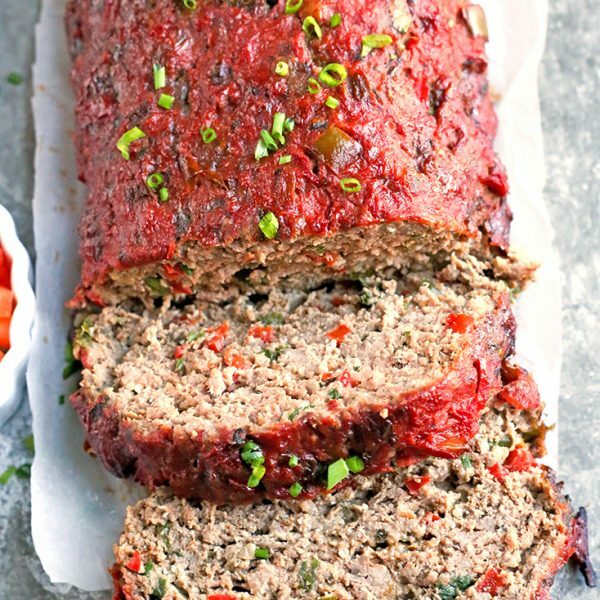 Crunchy, salty, and irresistible! A delicious gluten free, dairy free snack that everyone will enjoy! 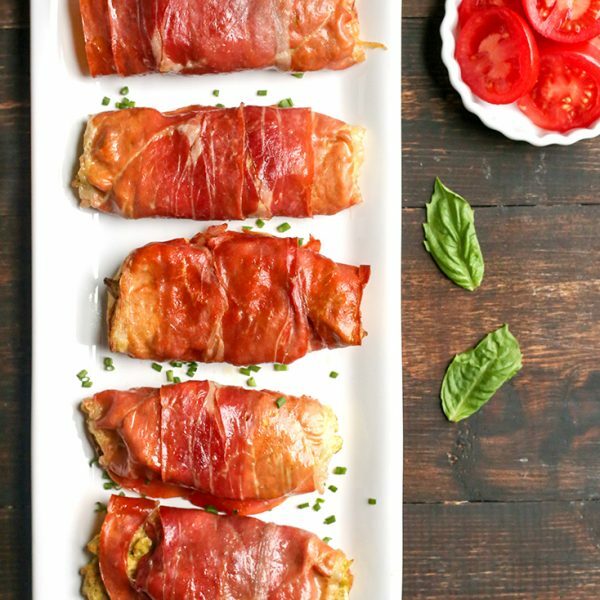 CLICK HERE to get the full recipe on Golden Barrel's site. Always a favorite Jessica! Perfect for a crowd! Thanks! I need to make up a batch and happen to have the same ingredients on hand. I can hardly wait for tomorrow to arrive so I can get started. Thanx for sharing! You’re welcome, Patty! Hope you enjoy! This is delicious!! I didn’t have gluten free pretzels so used shoestring potatoes instead as well as gluten free Worcestershire sauce rather than the aminos, and it worked out great! My girls and I are making another batch right now for a Christmas Eve snack. Thanks for trying my recipe, Liz! I love the shoestring potato ides- yum! So glad you are enjoying my recipe!